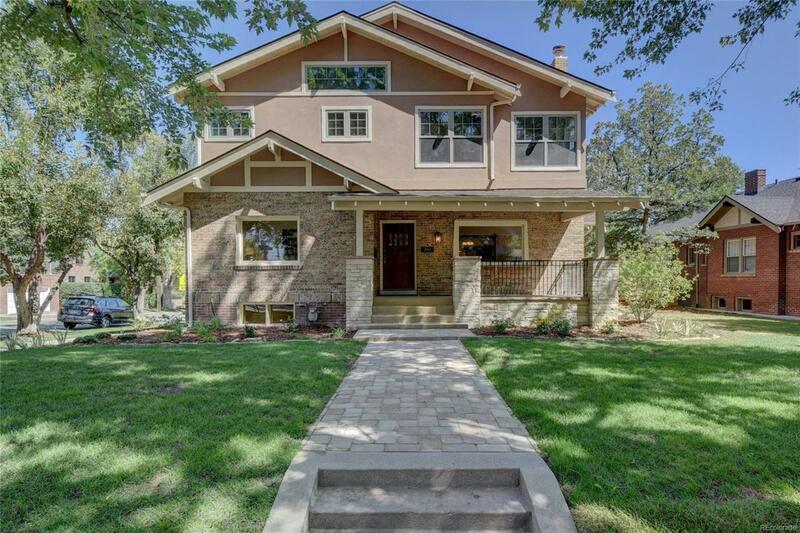 Fully Renovated Home originally built in 1920. Enjoy the modern conveniences while still preserving the historic charm. Large kitchen / entertaining space with exposed brick, WOLF Rangetop, Quartz waterfall countertops, 2 dishwashers, 2 sinks, with a formal dining room with original built in and wine fridge/bar area. All new electrical (LED Lights), plumbing, brand new forced air system with air conditioning on main/basement. Separate forced air system for 2nd floor bedrooms. Brand new 1" water service to house. 75 Gallon High Efficiency Water Heater, never run out of hot water! Original hardwood floors and woodwork in the dining room, living room & study. This home is light and bright with high end finishes throughout. Nice sized mudroom and completely built out laundry room. Lots of cabinet space, bonus room could be exercise room, craft room, or entertainment room. High Ceilings! Huge yard on an 8,750sf lot adjacent to Congress Park. East High School. Offered by Silver Creek Properties Llc.